Read on as I describe how to write a guided meditation script that is truly inspired. I’ll also point out the most common errors with guided meditations and how to avoid them. 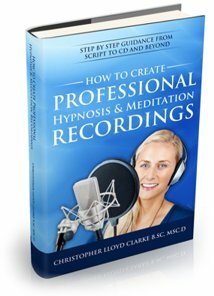 I will tell you how to write a meditation script that has deep symbolic meaning, and I’ll explain how to enhance your written guided meditation through the use of music and sound effects. Before you sit down to write a guided meditation, take a brief moment to consider the purpose of your guided meditation, and dwell upon the potential it has to heal and inspire both yourself and others. With this in mind, make it your firm intention to channel all of your creative abilities into your writing, so as to serve the highest good of anyone who experiences your guided meditation. This simple act will imbue your work with a greater sense of integrity, and it will help you to focus your mind on the task at hand. Do you have a pen and paper ready, or are you sitting at your computer ready to type? Hold on a moment...there’s one more thing to do before you start. It’s time for you to do some meditation or to practice some relaxation exercises. Why? Because it’s important that you are very relaxed before you start writing your guided meditation script. If you are deeply relaxed, it will be much easier for you to visualize what you are writing about. You need to be able to immerse yourself visually and emotionally in the script as you write it. Remember, a guided meditation is not just an intellectual exercise, it’s an experiential one. Do your best to experience what you are writing about, while you write it. You will also find that your writing style and your choice of words will be influenced by your state of mind at the time of writing. If you take the time to slow down and relax before you write, you are more likely to end up with a meditation script that your listeners will relate to. Different people take different approaches when they write a guided meditation script. Some like to plan everything in advance, starting with a bullet point list of all the events that they wish to describe in the meditation. They then begin building the script around these step by step points. Other people prefer to get into a state of deep relaxation, and then allow the entire meditation script to flow through them in one go. Personally, I allow my guided meditation scripts to gradually form in my mind for days, even weeks before I put pen to paper. During my daily meditations I visualise my guided meditation repeatedly, and I make a mental note of any significant symbols or events that appeal to me. Gradually the entire journey develops in my mind, to the point where I can write the script from beginning to end without referring to any notes. Everyone is different, so the approach you take is entirely up to you. When you write a guided meditation script, what is most important is that your script feels "inspired". Before I explain how to structure your guided meditation, I'd like to point out that this information is to be taken very broadly, and that you should not feel constrained by the principles I outline, only guided by them. Although the instructions you are about to read are quite specific, and quite sequential, there are no absolute rules when it comes to writing a guided meditation script. So feel free to skip any instructions that don't fit in with what you envision for your guided meditation. Give the listener a little time to prepare for the meditation and to get comfortable. Let them know if you would like them to be sitting or lying down. Perhaps you have some suggestions to make about the time and/or place in which they will meditate. Just take a minute or two to set the scene. It’s a great idea to start your guided meditation with a guided relaxation. Spend five to ten minutes relaxing the body and the mind with some simple visualizations and/or breathing exercises. Once the listener is in a relaxed state of mind they will be more able to conjure up imagery in their mind, and they will be far more open to the positive suggestions contained within your guided meditation. A countdown is a classic “deepener”- a commonly used hypnosis technique that helps to lull the listener into a deeper state of consciousness. A typical countdown may involve a simple visualization, such as walking down a staircase or descending in an elevator, while slowly counting down from 5 to 1, or from 10 to 1. As your foot touches the first step, a wave of blissful tranquillity passes through your entire body. You arrive at the second step, feeling calm and relaxed. You step down a third time, sliding deeper into a state of relaxation. Now you take a fourth step down, feeling even more relaxed. And now you take a fifth and final step. You are feeling completely safe, and completely relaxed. As I count down from 10, you feel yourself slipping deeper and deeper into a state of complete relaxation. You can use a countdown technique during the initial relaxation, or during the body of the guided meditation, or both. Now it’s time to take the listener on a journey. Start by describing the environment that you wish the listener to experience. As you do so, attempt to involve the listener’s senses. Describe what can be seen, smelled, heard and touched. The more the listener can connect their senses to the environment you describe, the more deeply they will become immersed in the journey. Create an experience that is both visual and tactile, and as you do, continue to reinforce relaxation. It’s also good practice to remind the listener that they are safe and secure. Be careful not to drag on too long. If you spend too much time describing specifics of the guided imagery, then your guided meditation may start to sound laboured and over complicated. Remember, if the listener is relaxed then their imagination will automatically fill in any blanks in your description. In any case, it’s a good idea to give the listener the opportunity to expand upon your suggested visualizations, so give them the freedom to create imagery naturally and in their own unique way. After all, it’s your script, but it’s their meditation! 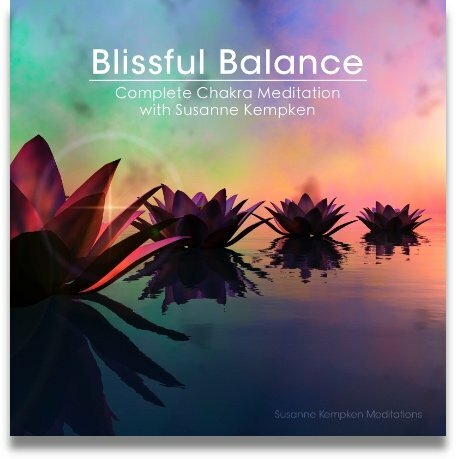 If you are creating a guided meditation CD or mp3 that includes music and/or nature sounds, then you can dramatically enhance the overall experience of the meditation by synchronizing the music and sound effects with the events that you describe. For example, if you describe a beach in your guided meditation, then add the sound of waves and sea birds. If you move into a deep underground cave, then you might like to add reverberation (reverb) to your voice so as to emulate the effect of being in a cave. Also, there may be times when the music should fade into the background, and other times when it needs to take centre stage. These special steps are really, "the icing on the cake". They are not essential, but they can really bring a guided meditation to life. I often do this when I create a guided meditation recording and it’s extremely effective. As the meditation continues, aim to lead the listener into a deeper and deeper state of relaxation, while at the same time, leading them through a series of experiences that are in harmony with the intended purpose of the meditation. By now, the listener will be in a state of relaxed meditative awareness. In this dream-like state, deeper levels of the mind come into play. Not only will the listener be interpreting the literal meaning of your words, they will also be influenced on a subconscious level by the symbolic meaning of the images and events that you describe. In this deep state, symbolic guided imagery can be very powerful. The symbol of a body of water is often used to represent emotional energy, but a body of water can take on many different forms. Ponds, pools, rivers, oceans and waterfalls each represent emotional energy in a different ways. Further meaning is contributed by the quality of the water, and the way in which it behaves. Is the water still? Is it clear? Is it flowing from one place to another? So think about what kind of symbolic picture you would like to paint in the mind of the listener. What images heal? What places symbolize peace of mind? What objects represent clarity, or love, or freedom? Consider the specific purpose of your guided meditation, and then introduce symbols that represent that purpose and give deeper meaning to the journey. Guided meditations can be powerful tools for relaxation, healing and personal development, and they owe some of this power to the correct use of symbols. When you guide the listener to walk down a forest path or through a doorway, you may be leading them into a deep, forgotten part of their subconscious mind. Perhaps you use the symbol of light to illustrate purity and healing, perhaps you introduce a particular animal, or a certain colour. The point is, you can use guided imagery to create an experience that has both literal meaning and deeper symbolic meaning. You can develop a basic understanding of symbols and their meaning by referencing a good dream interpretation dictionary. 1. The Dream Book: Symbols for Self Understanding, by Betty Bethards. 2. Understanding Dreams, by Nerys Dee. During the meditation the listener will have become very relaxed and will have entered into a deep state of relaxation. They should be brought back to normal waking consciousness gently and gradually. If your guided meditation involves a journey of some kind, then one way to conduct a Return is to guide the listener back to the starting place of the guided meditation. Have them visualize a return journey that resolves in the place it began. As you do so, make sure you also walk the listener back through any of the countdowns that you used during the meditation. Once the listener has returned to the starting point of the meditation, slowly bring their awareness back into the world around them. Remind them to become aware of their physical body and of their surroundings. Give them time to come back to earth and tell them to open their eyes when they are ready. Alternatively, you may choose to suggest to the listener that they simply rest and/or sleep at the conclusion of the meditation. This might seem OK on paper, but if you read it slowly aloud you will realize that if the listener follows your advice, they will be holding their breath for way too long. To avoid problems like this, read your guided meditation aloud and listen to how it comes across when spoken at a normal pace. It’s also a great idea to have someone proof your guided meditation before you read it aloud to others. You should also be wary of sentence length. A listener who is in a relaxed state of mind will follow your guided imagery better if you feed it to them in smaller pieces. If you become overly descriptive or talk for too long without pause, then the listener may become mentally congested as they try to keep up with all the information you are asking them to digest. Give them a descriptive sentence. Allow a moment for it to form visually. Then move on to the next sentence. Music can make or break a guided meditation, and it deserves your serious consideration if you wish to create a quality audio production. Music not only adds beauty to a guided meditation, it also helps to relax the listener and provides a soothing backdrop to your spoken word. It also adds emotional depth and reinforces the overall mood of the journey. 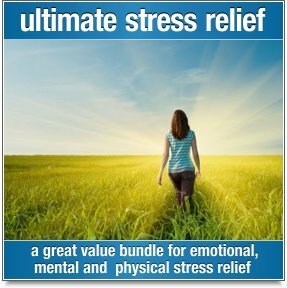 If you aim to produce a guided meditation mp3 or a guided meditation CD, then keep in mind that the music is quite often the first thing that people notice. A poor quality backing track will degrade the value of your guided meditation and turn off the listener, whereas a good quality backing track adds polish to your presentation and adds to your credibility as an instructor. 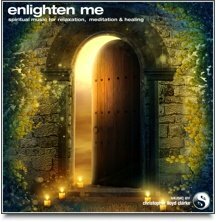 As a professional music composer, I’ve often said, “A guided meditation without good music is like a great painting without a frame...the whole picture suffers.” You’ve put your heart and mind into your guided meditation script and it is uniquely yours, so put some real thought into the music that will accompany it. In this following article, I describe how to select music for your guided meditation. As you write your guided meditation, keep my recommendations in the back of your mind, but please don’t get too caught up in the nitty-gritty of any particular recommendation or feel as though they are rules. Just as each person on this planet is unique, each guided meditation is unique. If there was a single perfect formula for writing a guided meditation script then everyone would be using it and there would be no room left for creative inspiration. Put your own distinctive mark on your guided meditation. Be uniquely you. Feel free to let your personality shine through in the words you use and in the way you express them. Some of the best guided meditations I’ve heard were narrated by people who had rather unusual ways of expressing themselves...some might even call them “quirky”. I call them “authentic” and “sincere”. You don’t have to be flamboyant about it, just be yourself. Aim for authenticity in your guided meditation and you’ll endear yourself to your listeners. This article on how to write a guided meditation is not presented as medical advice and is intended for educational and informational purposes only. The content is not intended to be a substitute for professional medical diagnosis, or treatment, nor is it a suitable substitute for formal training in the fields of personal development, hypnosis or psychology.